Zayn Malik admits he has “let the fans down” by leaving One Direction. The 22-year-old singer announced he was quitting the band on March 25. Zayn Malik admitted his decision was “crazy and wild and a bit mad”. He denied there were any rifts between the band members, saying those claims “couldn’t be more wrong”. Zayn Malik also confessed he had wanted out of the band for some time. He said: “You know, I did try to do something that I wasn’t happy doing for a while, for the sake of maybe other people. “Basically, I’m only upset [because] I feel like I may have let them down. 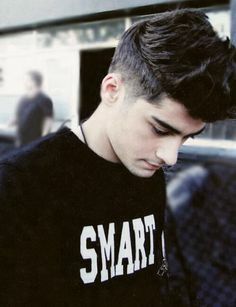 Zayn Malik also dismissed rumors it was the beginning of the end for the band, who were put together on The X Factor in 2010. He refused to comment on speculation he could return in the future. Zayn Malik quit the globally-successful pop group a week after walking away from their world tour due to “stress”. It came after he was pictured with his arm around a blonde girl in Thailand, prompting speculation he had cheated on his fiancée, Little Mix singer Perrie Edwards. In the interview with The Sun, Zayn Malik said his two-year engagement to Perrie Edwards had not been broken off. He described Perrie Edwards as “a good girl” who was “supportive” of his decision. Meanwhile, Zayn Malik has reportedly visited a west London recording studio to work on solo material with Naughty Boy; who helped launch the careers of Emeli Sande and Sam Smith.